I did a major food haul this last weekend. 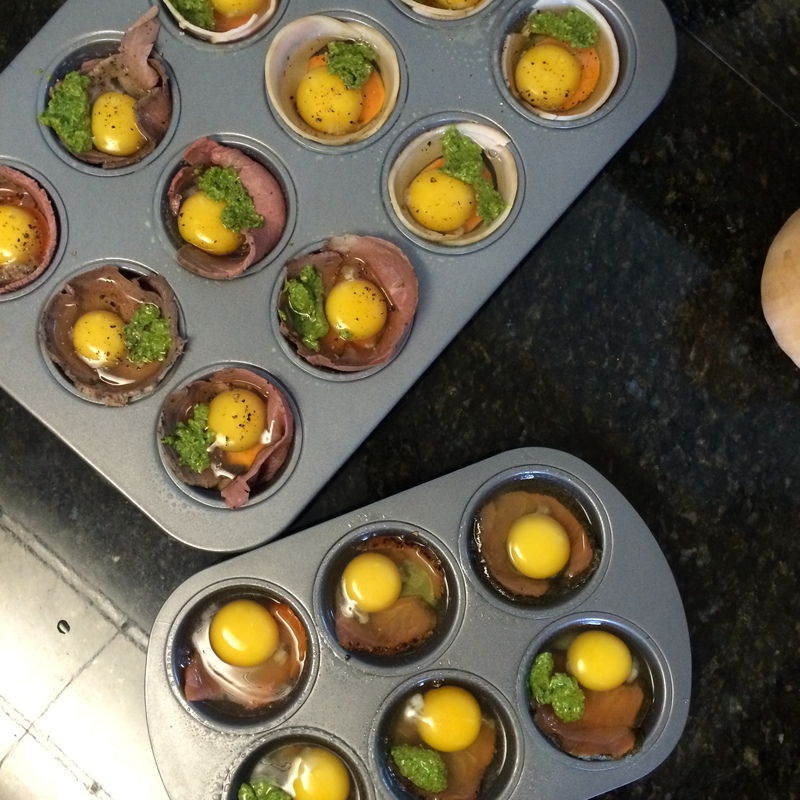 I wanted to make bacon egg muffins but I couldn’t find sugar-free bacon at the 3 healthy stores I went to. So, I gave up and found Applegate’s roast turkey & roast beef deli meat at Whole Foods. I don’t usually buy deli meat but Applegate’s is organic, humanely raised, hormone-free, etc etc and most importantly tastes and looks like real meat. Not like fake meat substance (think bologna). 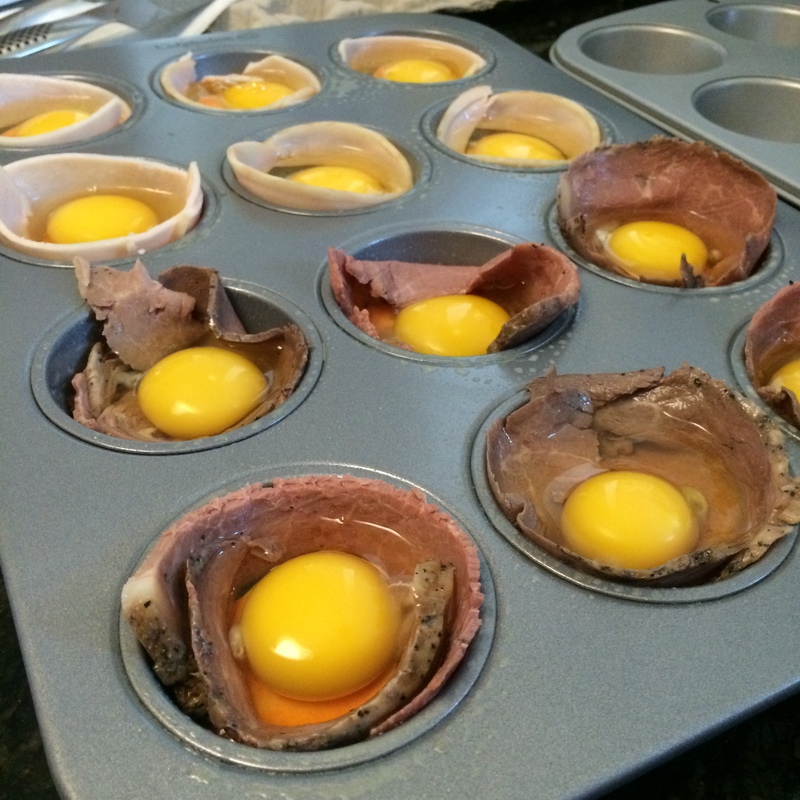 Now I know ya’ll have seen a million egg muffin recipes before. 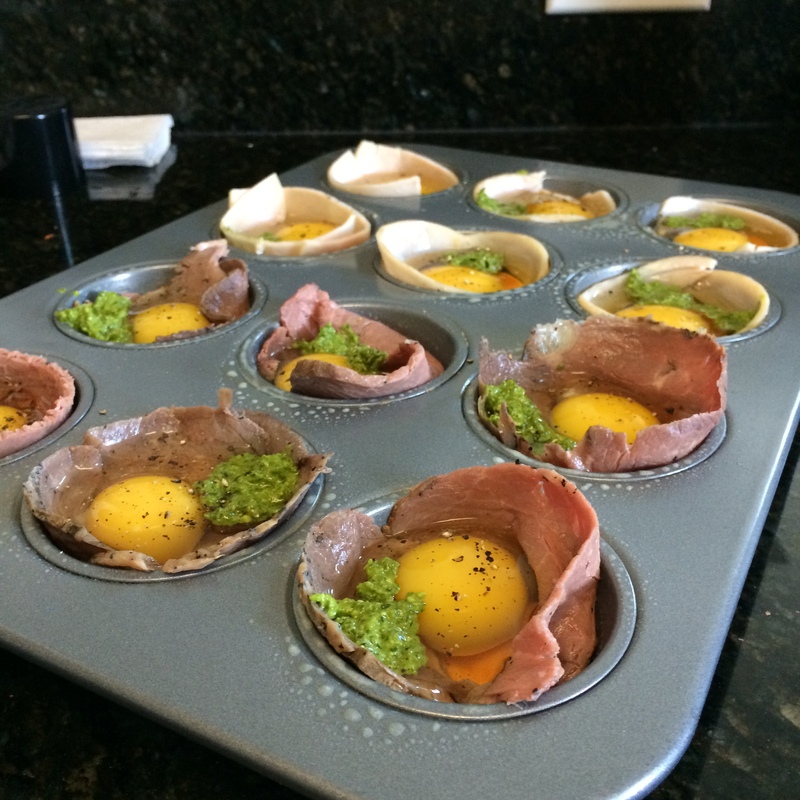 It’s really easy to scramble up some eggs and chopped veggies, pour them into muffin tins and bake. 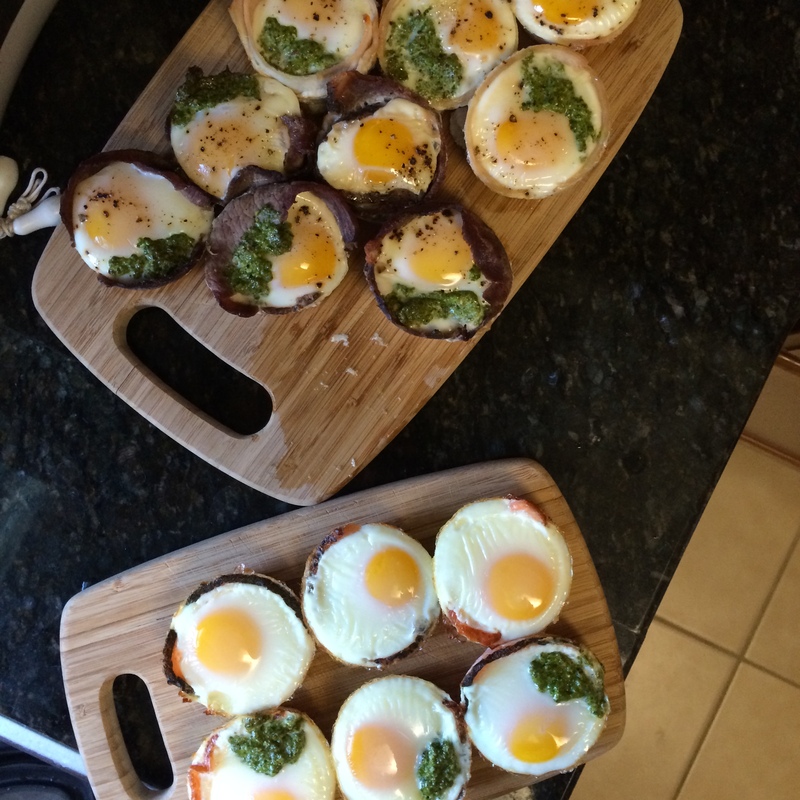 I’m pretty frickin lazy and after making egg muffins that way once I was over it. 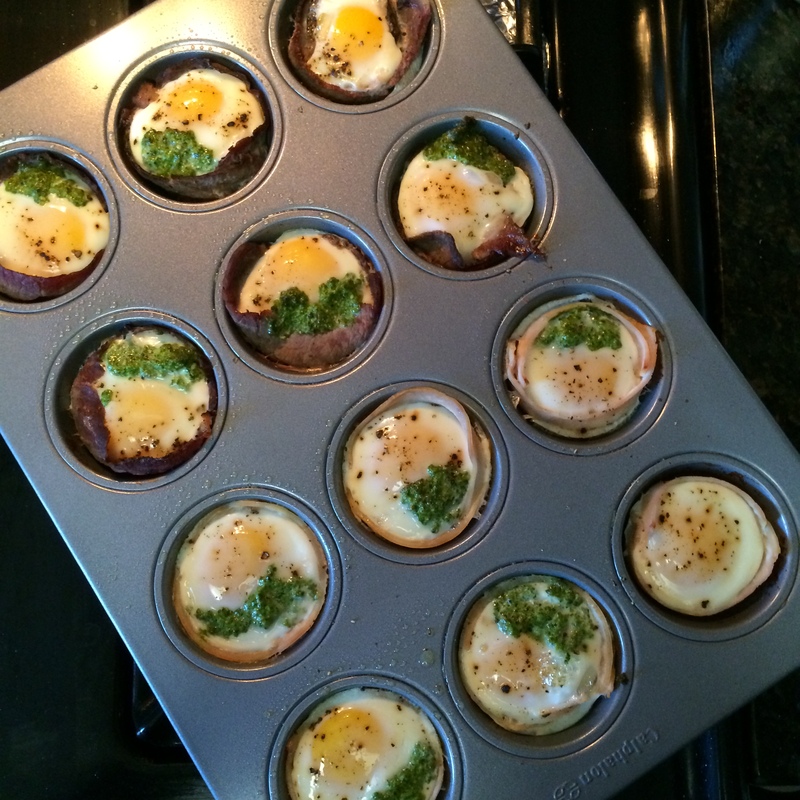 I started to just plop whole eggs into the muffin tins and I actually like them a lot better this way! They taste like little bun-less Egg McMuffins. Add any type of protein you want and you’ve got yourself a great little snack. 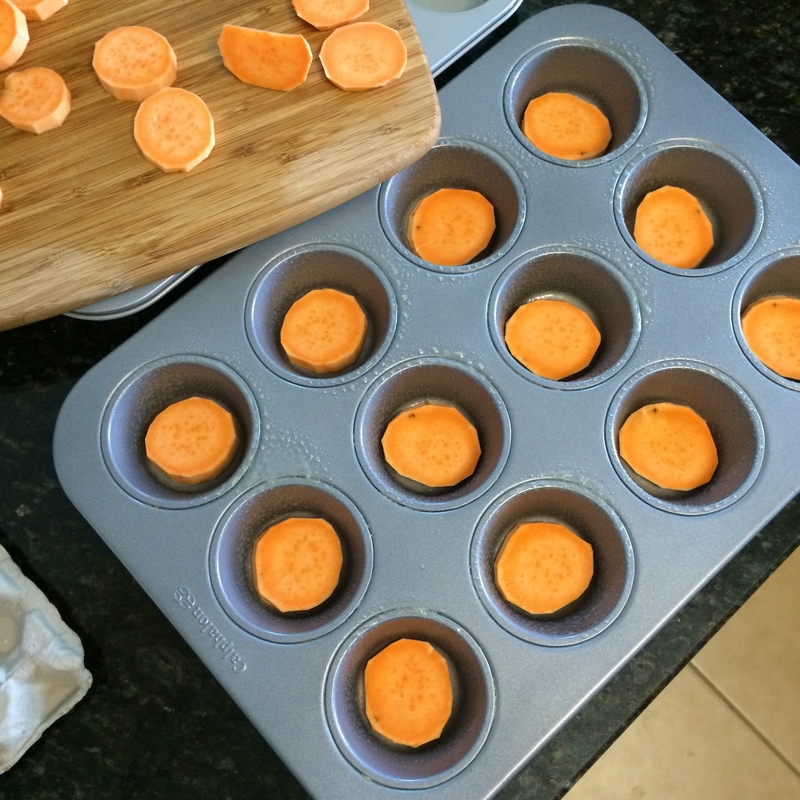 I’ve done these Egg Muffs before but my girlfraaaan Nicole told me she puts sweet pot slices at the bottom of the muffs so I tried that too and I LAVA it! I packed 3 for breakfast this morning and I was filled up. I put the rest into containers & now I have breakfast or a filling snack for the work week. *Note: 20 minutes at 350 degrees gave me an awesome cooked egg with a 5-10% yolky-yolk! If you don’t want a yolky-yolk and you want that yolk cooked through allllllll the way, then give it a few more minutes. You can test it by sticking a toothpick or chopstick into the yolk and if it’s too goopey for you, leave them in longer & just watch them. I have been so busy lately that my Hurls is feeling neglected. 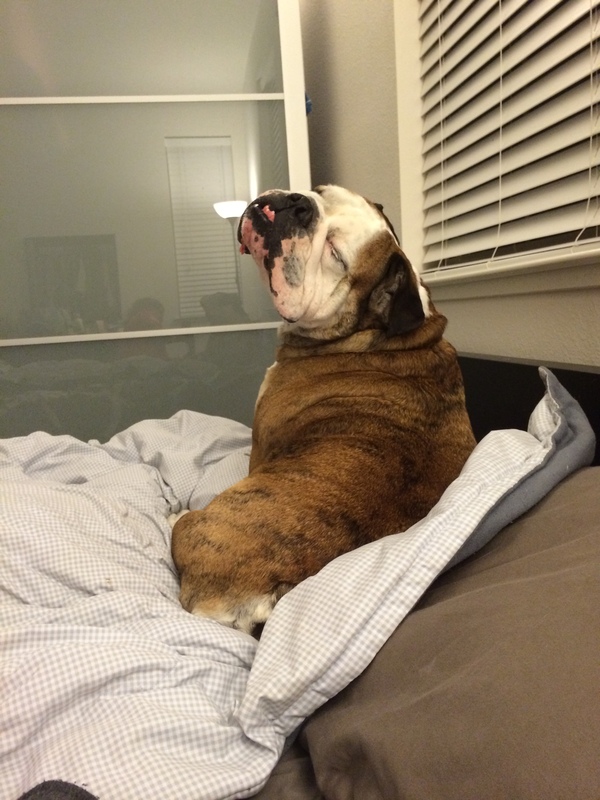 Look at him giving me SHADE. Psssshhhh….. 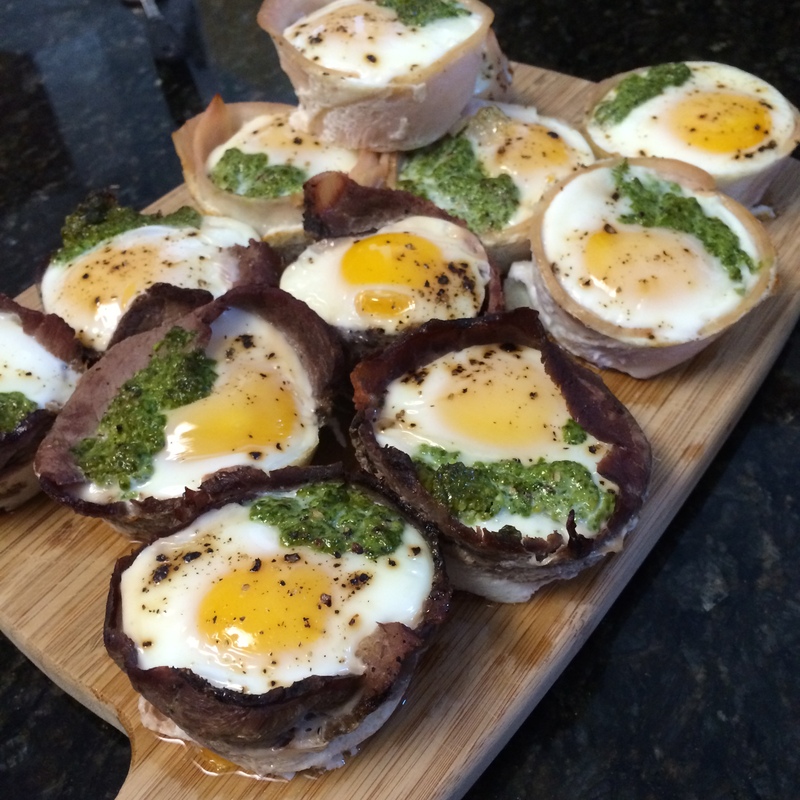 This entry was posted in 21 DSD Recipes, Breakfast, Snacks, Uncategorized, Whole30 Recipes and tagged applegate, bake, breakfast, egg muffins, meal prep, paleo, paleo recipes, pesto, primal, recipes, snacks, sugar-free, whole life challenge, wlc. Bookmark the permalink. Hello Cat! I love your blog and Instagram. I’m trying to drop some weight, so your recipes are coming in handy! Thanks so much!